This is the first part of a four-part blog series where I will introduce some XDB customisation that could be of use on your next Sitecore project. All these customisations relate back to the Experience Profile and identifying the user. Part 1: We introduce the concept of early profile identification, there is no such thing as the anonymous user. Part 2: We dive into the world of multi-site, multi-domain tracking. How to implement a global-common cookie for all your brand’s sites. Part 4: How to achieve Instant personalisation on the very first page load. We can make use of the fact that inbound links from a social stream can already identify a users demographic. Some of this blog has not been updated for Sitecore 9 yet, other parts have. In part one I’m going to talk about identifying your visitors as early on in the visit. By Identifying users I am referring to allowing users to show up in the Experience Profile. By default, Sitecore will not track every single anonymous user that reaches your site. 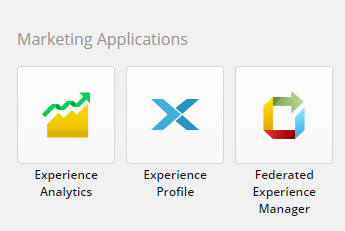 In order to get them to show up in the Experience Profile, a few quick changes are necessary. One of the simplest ways to do this is using either WFFM or the new Forms components in Sitecore 9. In fact, the setup hasn’t changed all that much between the version for this particular use case. You can use these save action with any forms on your website that collect personal details. The identification of a user should be happening when a user submits a form that contains personal details. This is a well documented OOTB forms feature that you can set up without any developer intervention. Another way to identify a user is to do so programmatically by updating the contacts facet details and then calling the identify method on the tracker. A side by side code example is available here. Calling the above line of code with a string identifier associates the visit data with that identifier. When the user visits again on a different device or tracked website if you are able to call the same line of code with the exact same identifier the visitor’s data will be merged into a single Experience Profile record. Given that we can choose when a user should be identified and displayed in the Experience Profile. Its time to introduce a concept that no user is anonymous. In fact, this is true for the majority of websites in existence, if they use Google Analytics. Google assigns an identifier called the Client ID to each visitor that comes along to your website. The Client ID is stored in the GA cookie and has an expiration date of 2 years after creation. Note: Google also has a concept of User ID that is used to track sessions across devices. The difference is that each website must send this value to Google in order for it to be used. In reality, this is going to most relevant if you only want to identify users in Sitecore if they have performed Authentication. We can use Google’s Client ID to allow the user to show up in the Experience Profile as early as is necessary. Note 1: The above code only needs to be triggered once per visitor. To save this running multiple times you can assign a cookie to the user. By checking if the cookie has been set you can prevent the above process from running more times then necessary. Note 2: In a single site environment you may choose to leave this identification until a certain amount of visit data has been collected. For example, writing some logic to check that the user has achieved a certain amount of goals. This will prevent users with little or no data showing the Experience Profile. Note 3: In a multi-site environment the opposite to note 2 becomes necessary. With visitors hitting multiple sites you need to identify them as early as possible. The main reason being that you want any visit data collected from the current website merged with visit data from any other site visits. The resulting merged data provides a great overview of a users movements. This will be discussed more in part 2 when we will look into multi-site XDB visitor identification using a Global common cookie. This next step is optional. Given that you have identified the user it will now show in the Experience Profile. At this point, you may not have a first and last name for that visitor. As an alternative, you could split the Client ID into two numbers and use them as the initial values for the first and last name. If the user completes a newsletter signup, logs in or makes an inquiry at a later time, that would be a good opportunity to update these to the correct values. We have demonstrated above how you can identify a user so that they show up in the Experience Profile. As part of this, we have looked at how you could use the Client ID from Google to identify the user as early on as you like, potentially on the very first-page load. In part 2 of this series on Experience Profile customisations we take a look at how to track users across multiple top level domains.